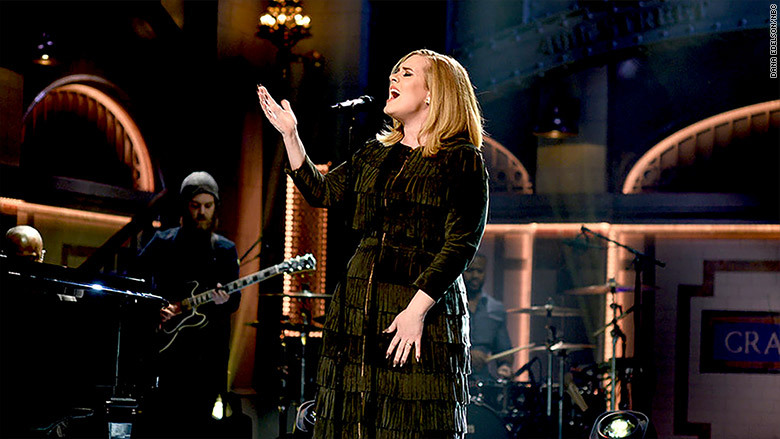 Adele's "25" continues to astonish the music industry. It looks like Adele is not done breaking records. Her smash hit album, "25," is projected to sell more than 1 million copies in the U.S. for a second week in a row, according to industry analysts. This would make the British singer the only artist to sell a million copies in two different weeks since Nielsen Music began tracking album sales in 1991. So far Adele's third studio record has sold over 4.2 million copies in the U.S. in less than two weeks. In an age of streaming music and digital downloads, 51% of Adele's sales last week were physical albums such as CDs and vinyl, according to Nielsen Music. Released on November 20, "25" has become the biggest album in recent memory selling 3.38 million in the U.S. its first week, a total that broke the previous record by nearly a million copies. If that wasn't impressive enough, "25" represented 41% of all U.S. album sales last week.To put that in context, last year's big album, Taylor Swift's "1989," represented 22% of the U.S. album market. The singer's latest album follows her Grammy award winning "21" which eventually went on to sell over 11 million copies after being released in 2011. The singer has also announced an European tour and became a viral sensation thanks to The Tonight Show's Jimmy Fallon. Fallon's online video of Adele singing her signature single "Hello" accompanied by classroom instruments has been watched over 16 million times on YouTube.